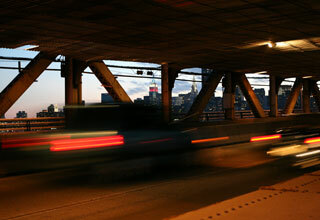 Queensborough Bridge at night, with ESB and Chrysler. 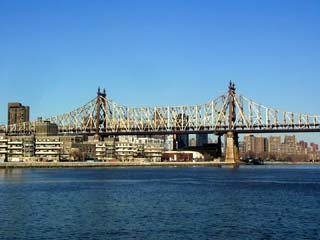 The view on the Queensborough Bridge from Queens. 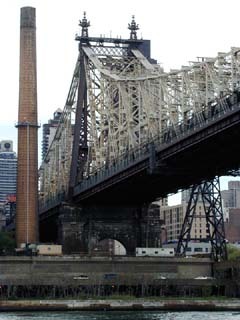 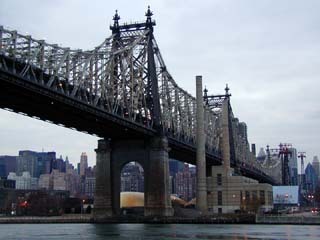 The view on the Queensborough Bridge from Roosevelt Island. 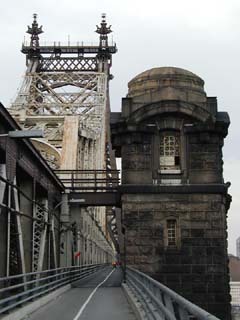 The pedestrian walkway on the Queensborough Bridge. 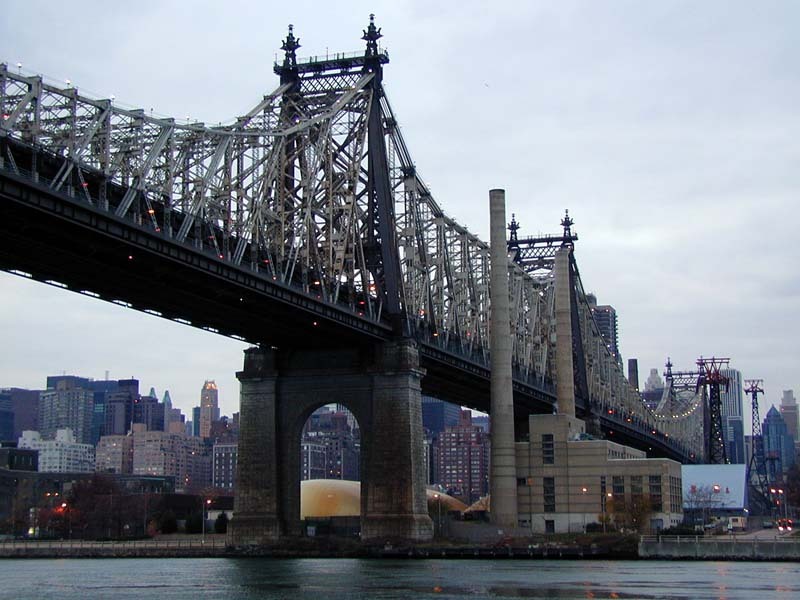 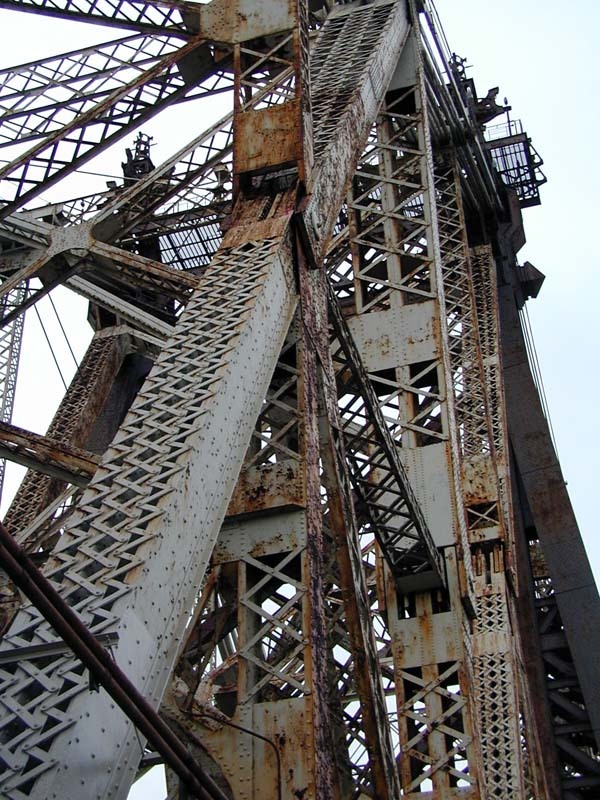 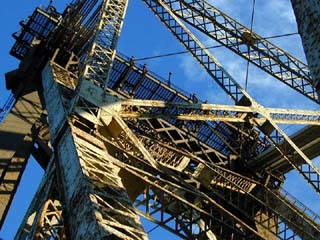 The steel of the Queensborough Bridge. 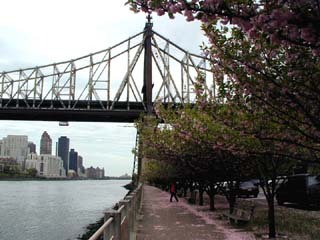 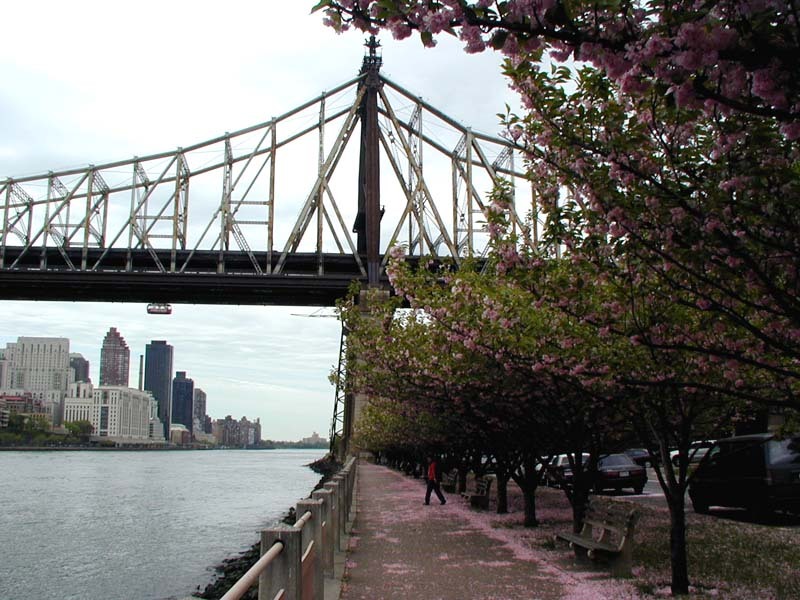 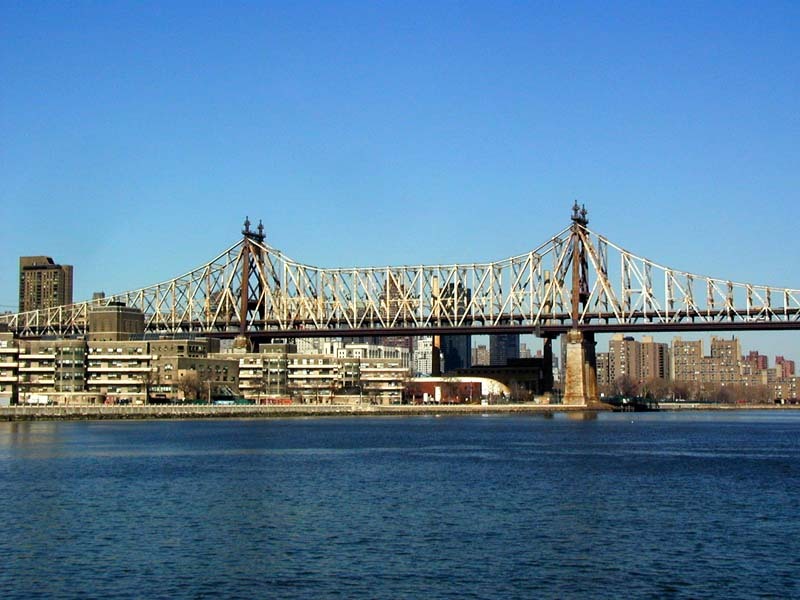 59th Street Bridge and Roosevelt Island.